When crafting immigration policy, lawmakers should ask the same question as when handling any other issue: what is in the best interests of the American people? For too long, our immigration policy has been set by lawmakers with other priorities that have undermined our heritage of law and order and our security. Promises of mass amnesty, refusal to follow our immigration laws, and failure to deport criminal aliens has incentivized illegality, fueling illegal immigration levels unprecedented in our modern history even while our generous legal immigration reaches record levels as well. The Trump Administration has done much to reverse detrimental policies, but more work is needed from Congress. We must end “catch and release”, through which illegal border crossers, immediately upon setting foot on our soil, can make unjustified claims of persecution and be released into our nation. To little surprise, the number who disappear into our interior never to show for their court date is astounding. The recent migrant caravan crisis is a sobering example of the inevitable result of our misguided policies. Migrants vowing allegiance to foreign lands, burning American flags, and claiming that no “American law” can stop them are demanding entry into our nation. Have we no sovereignty as a free nation to determine who we allow into our nation? Is it in our best interest to concede to those boldly proclaiming no respect for our legal system? If it is truly humanitarian aid these migrants seek, can we not better help them in their home countries? We can’t depopulate entire regions of the globe every time civic unrest, economic depression, or other disaster occurs. Lawlessness is antithetical to our system of government. 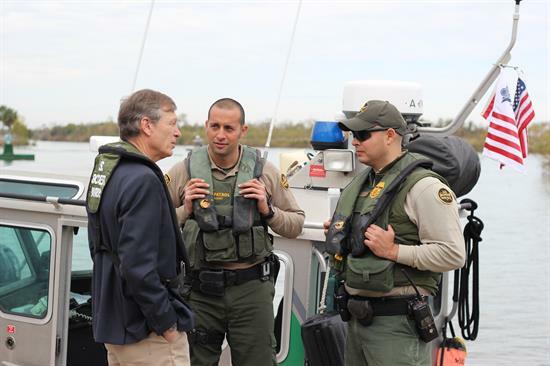 It is imperative we keep our promise to the American people to build the wall and enforce our borders by utilizing new technology and supporting our law enforcement agencies. We must disincentivize so-called sanctuary cities as well as maintain and utilize state-of-the-art methods to keep out those who seek to harm Americans. Our nation requires a merit-based legal immigration system through which both the method for selection and setting of caps is determined by asking who will best enrich our vibrant, diverse society without harming the prospects of our citizens. We should prioritize admitting those who can contribute to our economy without being a public charge and will acclimate to our way of life and contribute to our rich cultural heritage, not retreat into separate, isolated communities that too often are susceptible to radicalization. We must put a stop to chain migration, and it is imperative we work to prevent visa abuses and overstays. And we must end birthright citizenship by returning to the original meaning and interpretation of the 14th Amendment which lasted for a century. I was elected and swore an oath to represent the people of our district, and it is their interests I place above all others. I will pursue immigration policies that are welcoming to those who share our values of self-government and allegiance to flag and country while protecting and strengthening our people’s economic and national security interests.